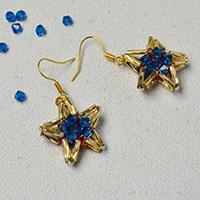 Today we’ll show you how to make a pair of beaded star earrings, which could be a perfect accessory for Christmas. Do you like beaded starfish earrings? 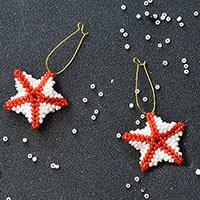 In this Pandahall tutorial, I want to show you how to make a pair of red seed beaded stitch starfish earrings. 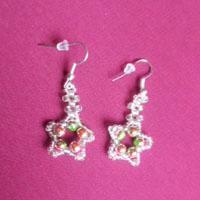 This Pandahall article is about a pair of handmade 2-hole seed bead and pearl bead star earrings. 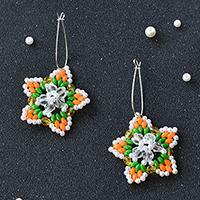 The following tutorial will show you how to make the star earrings.